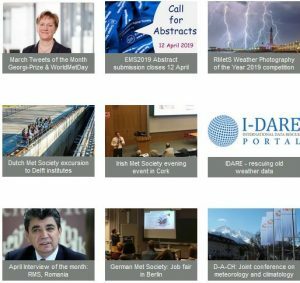 The Irish Meteorological Society (IMS) is a not-for-profit organisation run by volunteers with the objective of promoting interest in weather and climate in Ireland. Our Society has no external sources of funding and relies only on its members’ contributions to maintain its activities. In order to raise additional money, the Society organises an annual general knowledge Table Quiz. 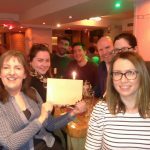 The fourth annual IMS Table Quiz took place on 18 January 2018 at the Grand Central Bar, O’Connell Street, Dublin. It was a fun-filled social event that was thoroughly enjoyed by the enthusiastic participants. The quiz venue was packed to capacity with over 20 tables of 4 participants each. IMS President Declan Murphy opened the event and extended a very warm welcome to all participants. 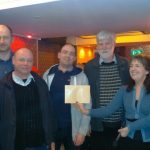 He said that the money raised from the annual IMS Table Quiz makes up a significant proportion of the funding required to run the various events organised by the Society during the year. The event was supported by 15 businesses, many individuals, IMS Committee members and friends who generously contributed a large number of raffle prizes. During the interval after the fourth round, raffle tickets were sold. The raffle took place immediately after the final round of the quiz. 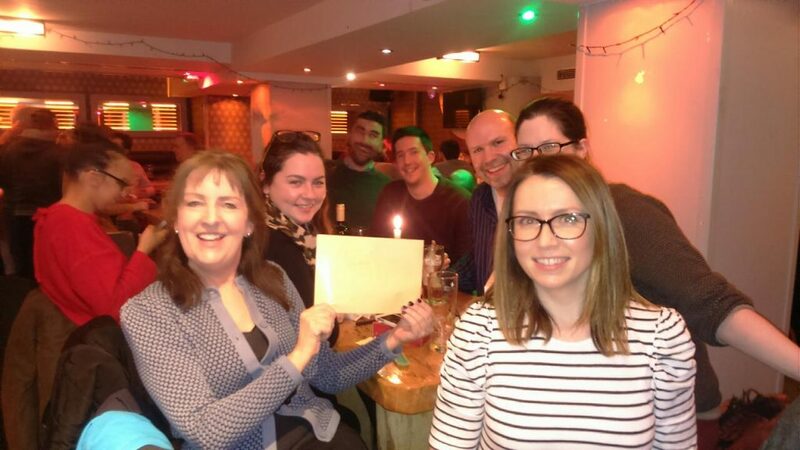 The IMS committee were delighted that the Table Quiz was so well attended. The charge was €10 per person. The quiz consisted of 8 rounds of 10 questions each. 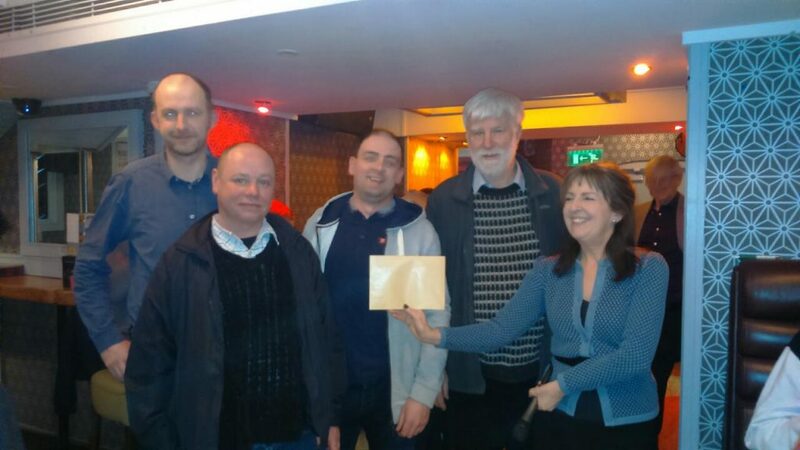 First Prize was €100; Second Prize was €60 and Third Prize was €40. The Grand Central Bar provided tasty platters of hot finger food during the interval which was much appreciated by the participants who had burned lots of energy finding the correct answers to the challenging questions. IMS Secretary Sonia Lall worked with Sean Venn to carefully check the answers after each round. For the fourth year in succession, Evelyn Cusack, well known broadcast meteorologist, was the Master of Ceremonies. She added greatly to the enjoyment of the occasion through her humorous comments and light-hearted engagement with the audience. IMS President, Declan Murphy, closed the event by thanking the organising committee and he particularly expressed his appreciation to Evelyn Cusack, Quiz Master Sean Venn for the very fair and challenging selection of scientific and general knowledge questions and IMS Secretary Sonia Lall for checking the answers on the score sheets. In conclusion, he thanked the staff of the Grand Central Bar and all participants for starting the year off with some much needed fun and social engagement. Already people are looking forward to attending the next IMS Table Quiz.